To start at the beginning, at the very making of Sebclair Non-Steroidal Cream we need to understand who Sebclair are. Are SebClair a reputable seb derm expert or are they a back alley me-too copy product? Permission to relax as I think we can safely say the first. 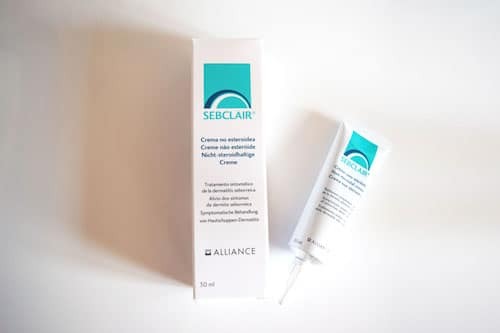 Sebclair is a steroid-free seb derm fighting brand sitting under Alliance Pharma. Established in 1996 and first trading in 1998, as a relatively new pharmaceuticals company, Sebclair are in fact fostered by a partnering giant pharmaceuticals company known as Novartis. Their vision – to breathe life into medicines around the world. Specialising in everything from dermatology to oral health Alliance have the technical expertise and backing to make extremely great, hardworking products. All looks good. Now onto the Sebclair Non-Steroidal Cream itself. A cream promised by Alliance to ‘manage mild and moderate symptoms of seborrheic dermatitis’. First appearances live up to everything we now know about Sebclair. The 30ml metallic tube with self-piercing nozzle applicator comes carefully protected in a medicinal looking outer box. The Sebclair Non-Steroidal Cream means business and the packaging screams it. You could imagine a pharmacist needing to consult with you before using. As with other pharmaceutical produces the packaging tells you Sebclair Non-Steroidal Cream must be stored between 9 to 25oC. Do not leave Sebclair Non-Steroidal Cream in steamy bathroom cabinets. 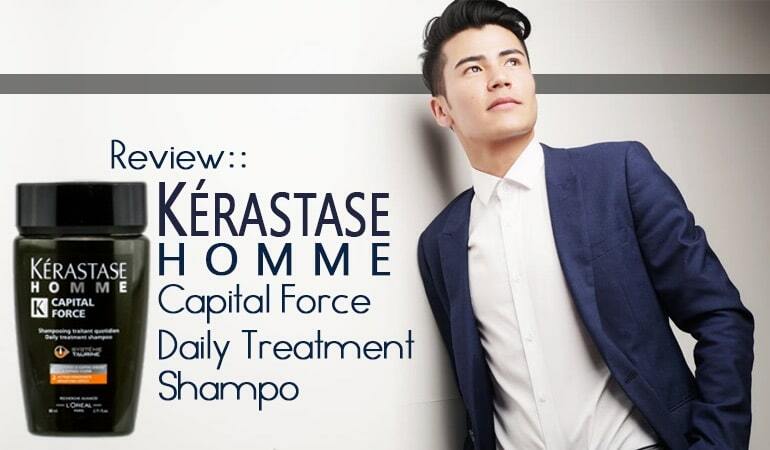 With first appearances made, how do you use Sebclair Non-Steroidal Cream? Does Sebclair Non-Steroidal Cream rub in easily? Can you expect to love the feel? As directed by the inner treatment leaflet, Sebclair Non-Steroidal Cream should be used on affected skin 3 times per day (or as needed) being allowed to absorb with gentle massaging into skin. 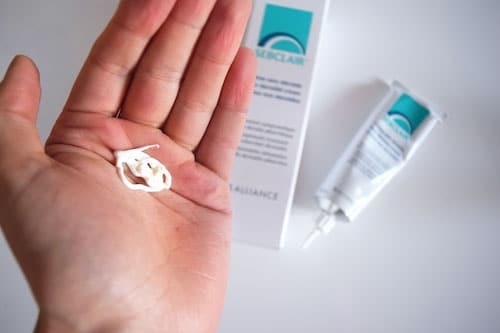 Exiting the 30ml tube as a white, rich cream with a very gentle fragrance you can’t quite put a finger on the Sebclair Non-Steroidal Cream is smooth and easy to massage in. Unlike lotions the Sebclair Non-Steroidal Cream is thicker, however, is not balm-like. With rubbing the cream can feel greasy but given a few minutes to sit, the cream is well absorbed without tack or leftover shine. Onto the best part – the ingredients and actives. Which parts of the Sebclair formula allow the cream to be proven for anti-inflammatory and antifungal activity? We’ll start with the active anti-fungal ingredient as these are what act to quell your skin’s population of seb derm causing Malassezia yeast. The recognized ingredient Sebclair use is Piroctone Olamine an anti-fungal active with gentler properties than classical Ketoconazole or Selenium Sulfide. Studies show when Piroctone Olamine at 0.75% is combined with Salicylic Acid at 2%, the anti-dandruff effects are even greater than traditional shop bought dandruff formulas containing Zinc Pyrithione. 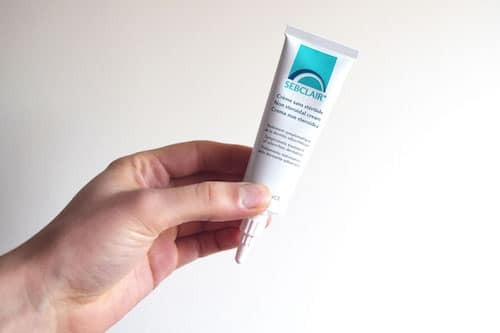 Now the Sebclair Non-Steroidal Cream does not contain Salicylic Acid but it does contain another similar keratolytic (aka skin softening) exfoliant – lactic acid. An ingredient also able to help hydrate skin, a perfect skillset for dry seb derm flaking. Sebclair Non-Steroidal Cream pairs the anti-fungal activity of piroctone olamine with a significant amount of natural anti-inflammatory ingredients. 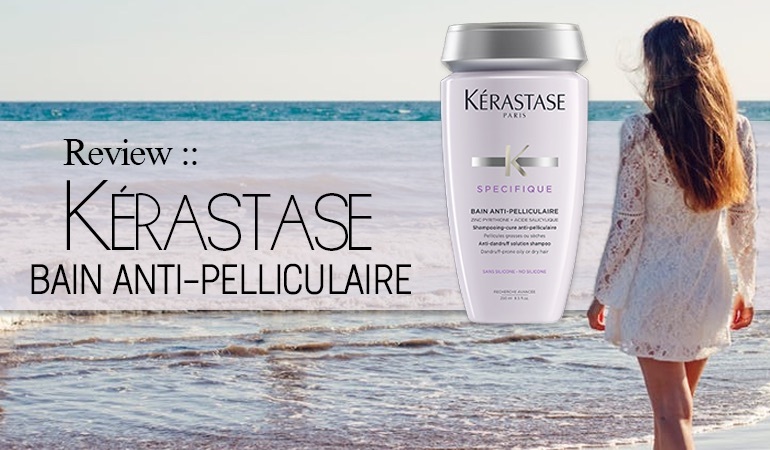 A perfect combination because dandruff caused by dry scalp, seb derm and psoriasis are all inflammatory skin conditions. Redness is inflammatory. Sensitivity is inflammatory, pain is inflammatory. 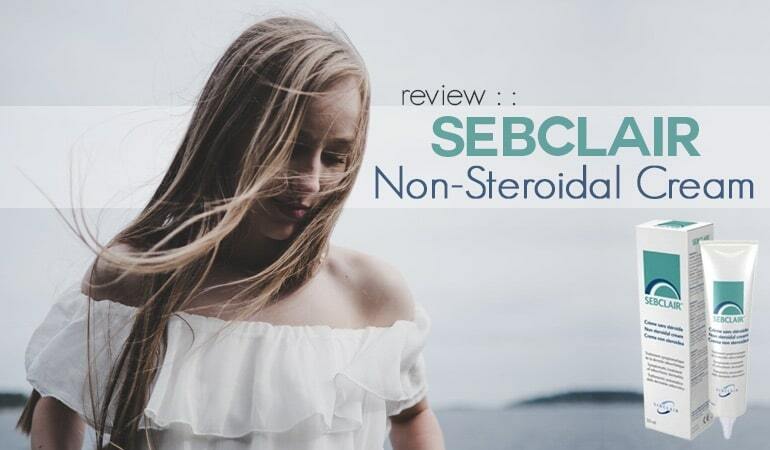 The Sebclair Non-Steroidal Cream is designed to reduce the cause and symptoms of mild to moderate seb derm having an ingredients list to live up to their claims. It is worth noting that the bulk of the cream is actually a combination of skin conditioning agents. Among them are Butyrospermum Parkii (aka Shea Butter) and Cera Alba (aka beeswax). Now, these ingredients are fine, however, they do contain fatty acids that feed the Malassezia yeast. And we know that seborrheic dermatitis is intrinsically linked to this yeast. Anti-fungal agents appear to control seb derm by killing this yeast. That’s the theory right now, backed by hundreds/thousands of peer-reviewed experiments. And it’s why using a moisturizer that contains these fatty acids can make your seb derm worse – you’re literally feeding the condition. Oil-free moisturizers are being released in abundance, these won’t feed your seb derm. SebClair appears to get around this problem by adding enough anti-fungal agents to kill the Malassezia as well as feeding them. It’s a bit of a poisoned chalice for the yeast. And it seems to work! It’s all about getting the balance right. But what about the other ingredients. 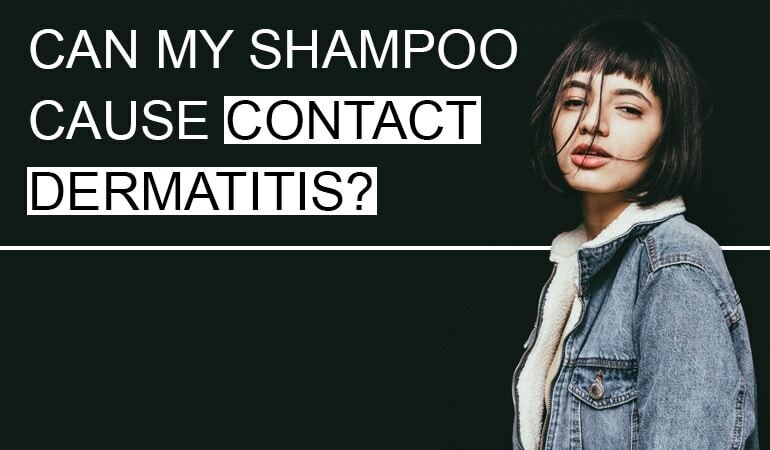 Finding a great anti-dandruff shampoo is tough because almost 99% of the time there’s also known allergens and irritants being used as cleansing agents. What about Sebclair Non-Steroidal Cream? Tocopheryl Acetate, added to many personal care products for its moisturizing properties. This chemical is essentially Vitamin E. Yay! Mixed with Acetic Acid. Nay!Acetic Acid can really irritate your scalp and is ironically present in many “organic” or “green” products. However other than these, the ingredient list looks extremely clean. A great treatment solution for mild to moderate seb derm of the skin, especially if you want natural non-steroidal activity. Just to note that the ingredient bisabolol in this product is “the primary constituent of the essential oil from German chamomile” (that quote is from Wikipedia), and chamomile does irritate *some* people who have ragweed allergies such as hayfever or other allergies to plants in the large plant family called Asteraceae. I have hay fever and I get a skin rash from topical or ingested chamomile, so I try to avoid bisabolol.